Techstars is the Worldwide Network that helps entrepreneurs succeed. Much more than a three-month mentorship-driven accelerator program, Techstars is for life — our global ecosystem of founders, mentors, investors, and corporate partners work together to create a network of support that lasts throughout your entrepreneurial journey. We make entrepreneurship accessible by opening doors to capital, mentorship, marketing, business development, customer acquisition, and talent recruitment. We have over 3,500 mentors working tirelessly on your behalf. Our corporate partners add powerful industry expertise by offering hands-on mentorship and business development opportunities to accelerate your business. Startups that participate in our corporate accelerator programs engage daily with a network of Fortune 500 executives and employees who open doors that are otherwise difficult to access. After all, every company was a startup at one time! As part of the Techstars network, companies and founders have access to over 300 perks valued at over $1 million. These perks come from corporate partners and sponsors, mentor companies, Techstars companies, and others across our network. Back office services and CRMs, analytics tools and project management platforms, marketing services and more — all aspects of your startup needs are covered. These perks are yet another benefit of the best global ecosystem for entrepreneurs! We help our companies #domorefaster™. Techstars Accelerator Programs Exist in over 30 communities worldwide. 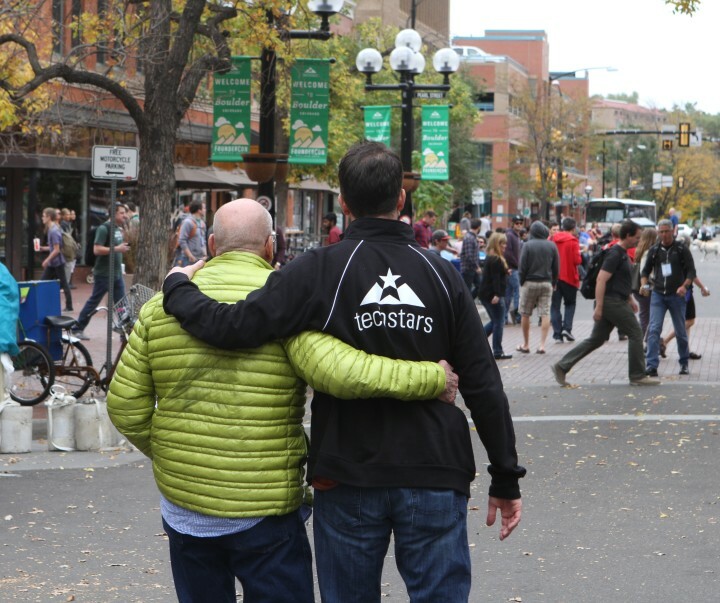 Additionally, Techstars understands that great founders can come from #Anywhere. We know that relocating to a new city for an accelerator program can be disruptive for some companies because of personal or business constraints, so Techstars Anywhere is our (mostly) virtual Techstars accelerator–no relocation necessary. Founders follow the proven Techstars approach to accelerate their business & #domorefaster. The investment we make in each company in capital, time & network is exactly the same as every other Techstars accelerator.